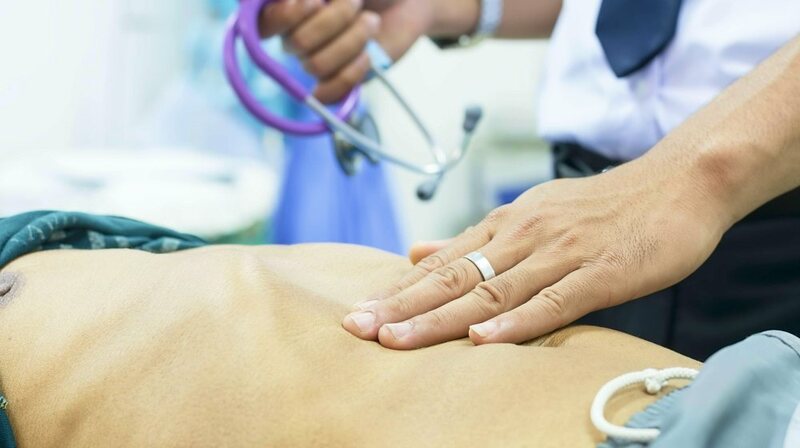 What Percentage of Accident Victims Suffer From Abdominal Injuries? What is Abdominal Blunt Force Trauma? What are the Organs Affected by Force Blunt Trauma to the Abdomen? What are the Symptoms of Abdominal Injury? What are the Causes of Abdominal Injury? Liver: The liver is the most vulnerable abdominal organ, because it is so big and located in the upper right-hand corner of the abdomen. With blunt abdominal trauma, you can get a lacerated or bruised liver and increase your risk of shock from exsanguination or liver dysfunction. Often, it takes emergency surgery to correct the bleeding. Spleen: The spleen is damaged most often in blunt abdominal injuries. It is the second most commonly-injured organ in the abdomen of children. When the splenic capsule is damaged, one can get a hematoma within the spleen. Should the spleen rupture altogether, a life-threatening hemorrhage associated with shock can occur. It is less sensitive to the shock of penetrating injuries than with the liver unless the renal artery is affected. Rib fractures are associated with splenic injury about 20 percent of the time. Pancreas: The pancreas can also be injured when the abdomen is traumatized. They are often injured in bicycle injuries when the rider impacts the handlebars. Doctors look for fluid around the pancreas as an indication of an injury to the organ. Kidneys: The kidneys are partially protected by the rib cage but they can still be injured. Lacerations and contusions (bruising) are possible. Bloody urine is a common sign of kidney injury and there can be leakage of urine into the abdomen. Small Intestine: The small intestine is the major part of the viscera to get injured in a penetrating injury of the abdomen. The biggest problem is bowel perforation with air showing up on plain film or CT scan where it doesn’t belong. A bowel injury might also be associated with a bowel obstruction or an abscess. These things require surgery. CT Scan: A CT scan of the abdomen will tell if there are areas of hemorrhage or solid organ lacerations. The CT scan can show areas of free air in the abdomen and areas of abscess or disruption of the viscus. MRI Exam: An MRI exam can be done to take a look at most of the same things that can be seen on a CT exam. However, the MRI exam can show details of soft tissue injury better than the CT scan. Peritoneal Lavage: Before MRI and CT scans were available, there was the peritoneal lavage. In that test, the doctor would insert a needle into the abdomen and flow in fluid in the form of saline. After giving the fluid a chance to mix with abdominal fluids, the fluid is removed. If there is a significant amount of blood in the fluid, it means there is some kind of injury and surgery might be needed. This test isn’t used as much anymore. In the emergency room, the focus should be on the ABCs of emergency care—airway, breathing, and circulation. In the case of abdominal trauma, the only two choices are watchful waiting and surgery. 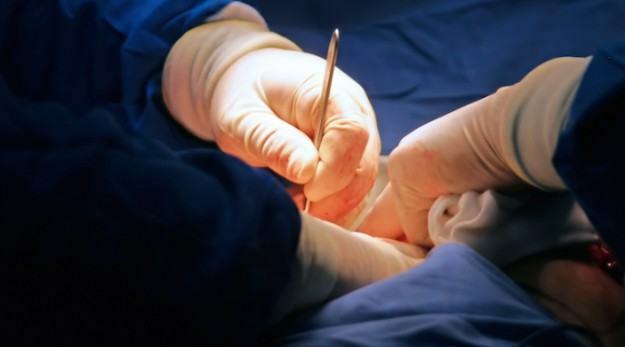 Surgery is done to repair lacerations of major organs and to put together viscera. If there are areas of ruptured viscera, the patient needs to be on antibiotics and to have the area cleansed as much as possible with saline. Also, if there are obvious signs of peritonitis, abscesses need to be cleared surgically with multiple antibiotics to clear the infection. The patient with force blunt trauma to the abdomen may need to be evaluated in an ICU setting, especially for the first night when the changes can happen suddenly and could mean a drastic change in the course of the patient’s therapy. 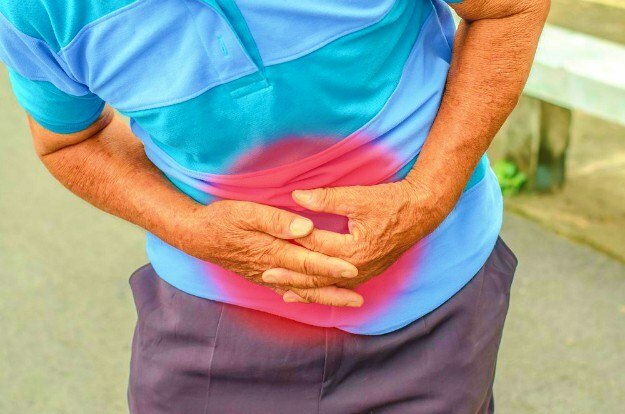 If you or a loved one has suffered an abdominal injury as a result of someone else's negligence and would like to discuss your legal claims and options, contact me, Ed Smith, an experienced Sacramento Personal Injury Attorney, to set up a FREE consultation. Do you have other questions about force blunt trauma to the abdomen and your legal claims in your accident? Reach out to me, Ed Smith, immediately. Editor's Note: This post has been updated for quality and relevancy.